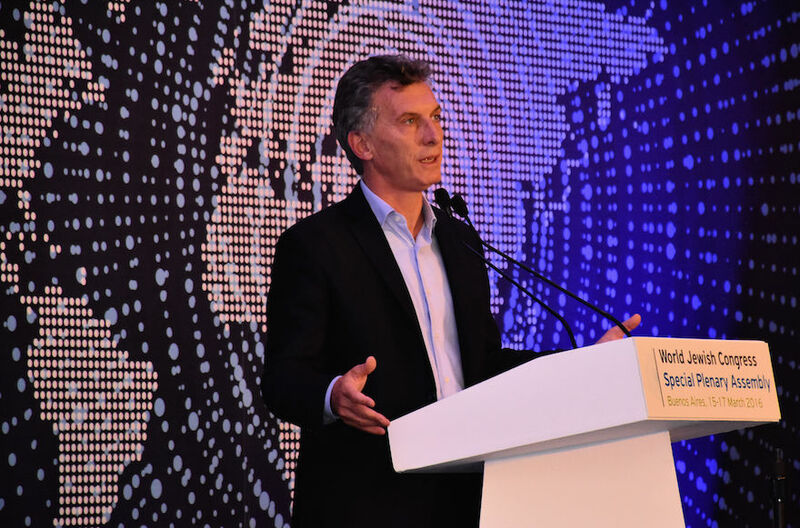 BUENOS AIRES, Argentina (JTA) – Argentine President Mauricio Macri of Argentina will ask President Barack Obama to declassify information held by U.S. agencies about the 1994 terrorist attack on the AMIA Jewish center in Buenos Aires following a request from a victim’s father. Macri will make the request during Obama’s visit to Argentina from Tuesday to Thursday, following his visit to Cuba. Luis Czyzewski, whose 21-year-old daughter, Paola, was one of 85 people killed in the AMIA bombing, told JTA that he wrote to Macri with the request. “The U.S. government mentioned that during this trip, Obama will announce that U.S. agencies will declassify information about the last dictatorship in Argentina, so I asked the Argentine government in a written letter to also ask Obama about all information that U.S. agencies have regarding the 1994 AMIA attack,” Czyzewski told JTA. Argentina’s human rights secretary, Claudio Avruj, was one of the liaisons between relatives of AMIA victims and the government. “It is highly probable that they will also talk about terrorism, the Iranian role, the memorandum of understanding that Argentina signed with Iran, and in this context seems very natural that we ask for all the information that the U.S. has,” Avruj told JTA. U.S. agencies worked with Argentina, especially after the 1997 visit by then-President Bill Clinton to Buenos Aires. “There is always some new information that could help” Avruj, who also is the former executive director of the Argentine Jewish umbrella DAIA, told JTA. The secretary of strategic affairs, Fulvio Pompeo, confirmed to Czyzewski that Macri will ask Obama for the information. Earlier this month, leaders of the House Foreign Affairs Committee urged Obama to meet with survivors of the AMIA attack and the 1992 terrorist attack on the Israeli Embassy in Buenos Aires during his Argentina visit. The Obama administration declined a visit to the AMIA. The only activity with Obama confirmed by AMIA for Jewish leaders is an invitation to a gala dinner with Obama and Macri on Wednesday.